lowers the stress of tissues, and insulin resistance. Giovambattista Desideri (chief of medicine for hospital in Avezzano) says that the positive results seem to be the result of increased insulin sensitivity. Insulin is the hormone that makes it possible to control your blood sugar. Researchers have yet to determine whether these positive results are directly caused by the flavanols in cocoa, or if the condition is caused by the effects on the cardiovascular system. Using cocoa in the diet of the elderly can be really a wise move. You must check the doses, and maintain a balance from a nutritional standpoint. But eating chocolate can really be an ally against this terrible disease. Get medical advice on this one! 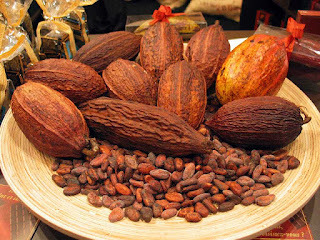 Cocoa contains natural fats, carbohydrates and protein. In addition, it has many minerals like magnesium and potassium. It is also a source of B vitamins. Due to its content in dietary minerals and vitamins, cocoa is an energy food. It contains antioxidants that fight cellular aging. According to a British study, consuming 20 grams of cocoa a day may lengthen the duration of life itself. Finally, remember that it is not a food suitable for children under three years, and those who suffer from high blood pressure, or constipation, or hemorrhoids. You can read the original publication on the magazine Hypertension, or the original Italian piece of news here.